Funeral Services for Gene “Gene-O” Fossum will be held at 11:00 A.M. on Monday, April 22, at Ascension Lutheran Church in Albert Lea. The Reverend Mark Boorsma will officiate. Interment will be in Zion Lutheran Cemetery, rural Odin, MN at 3:00 PM. Visitation will be one hour before services at the church. Bonnerup Funeral Service is assisting the family. 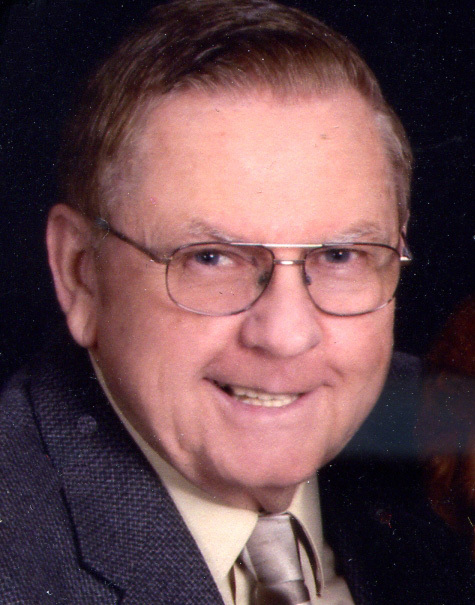 Gene died on Sunday, April 14, 2019 at St. John’s Lutheran Community- Fountain Lake in Albert Lea. He was 80. He as born on April 24, 1938, in Mountain Lake, Minnesota the son of Otto G. and Myrtle M. (Howe) Fossum. Gene graduated from St. James High School and then received his BS degree from Mankato State College. Gene served our country for 2 years in the US Army, with most of his time spent at the Pentagon. Following his return from the service he also pursued his Masters Degree and Specialist Certificate in school administration. Gene married Rosalyn J. Harder on June 22, 1974, in at Zion Lutheran Church in Odin. Throughout his career Gene had worked at schools in Stewart, Madelia and Elmore where he took his first position as a principal. He continued his career at Rushford, Lakefield and then Worthington before retiring. While in Worthington, Gene was a member of the Lion’s Club. In retirement, Gene and Roz pursued their dream of living in a log home. They built their home and lived near Albert Lea for more than 23 years. They were active members of Ascension Lutheran Church in Albert Lea where Gene often served as usher. Gene enjoyed animals, nature and good country music. He will always be remembered as a jokester as he enjoyed sharing good humor with all. He is survived by his beloved wife Rosalyn, brother Dennis Fossum of Spencer, Iowa, brother-in-law Bob and is wife Judy Harder of Odin, MN, nieces Michelle (Matt) Svalland and their children Megan, Macy and Max of Odin, MN, Stacey (Dennis) Stade of Odin, MN and their children Emma, Sam and Elena, and several cousins. He was preceded in death by his parents Otto and Myrtle Fossum, and his father-in-law and mother-in-law Cornelius and Ruth Harder.